When Iraq invaded Kuwait, the country was a country where Amiga share of the IT-market in the country was at its highest. The war is also known under other names, such as the Persian Gulf War, First Gulf War, Gulf War I, Kuwait War, First Iraq War or Iraq War. Either war or not, the Amiga market managed to stay high all the way until 1998, when it began to decline until 2003. Now it is very uncertain about how many people in Iraq that still uses Amiga machines, but Mados is one of them. He agreed to get interviewed about Amiga in Iraq by me. So, here you will get to know about how the Amiga situation in Iraq went and still is today. 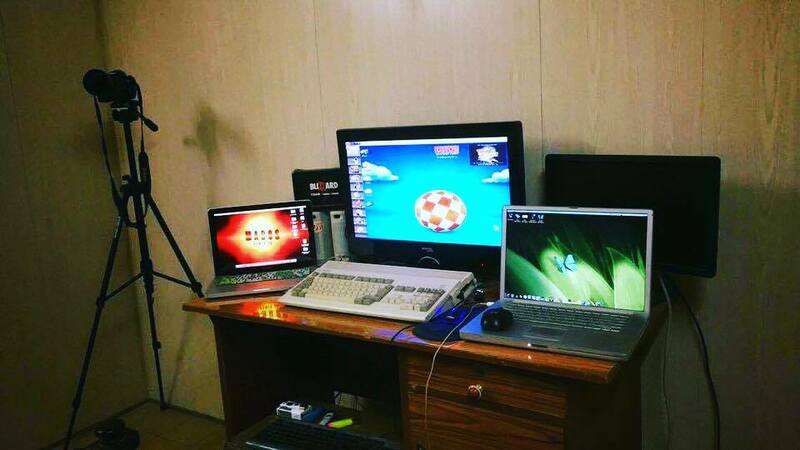 Mados is still a very active Amiga user today, which is living in Baghdad, Iraq. He is a person that still have lots of passion for the Amiga. He’s got many Amiga’s as you can see on this page. His name is Mohammed Abdul Raza Al – Nasah (محمد عبدالرضا الناصح), but he is mostly called under Mados PowerPC. He agreed to answer my questions even though of a bigger language barrier than expected. I did what I could make out of the answers from him. I hope that Mados answers teach everyone something about what war did to Iraq and the country with the biggest Amiga popularity in the 1990s. This was one of the countries in the world, where Amiga once had a very high share. In fact, Amiga’s popularity in Iraq was way higher than PC or Atari ST. Read on…! Who are you? And what do you work with every day? 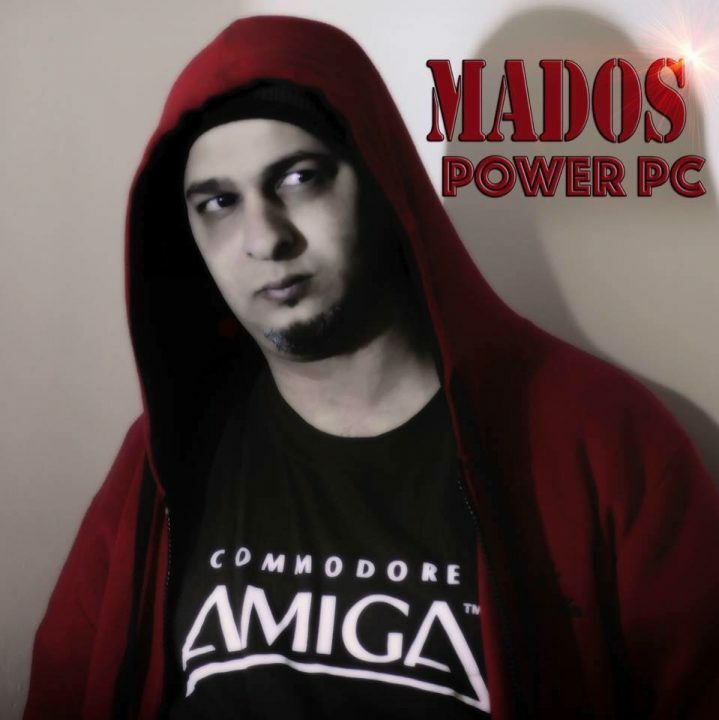 My name is Mohammed and my nickname is mados PowerPC. I have a shop selling computers. 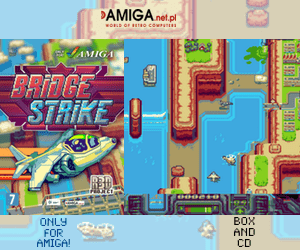 I also have an Amiga store that you can find on Facebook. I use various of Apple Mac computers, Amiga 1200 with 68060 and Amiga 1200 with 68030. I also own a PowerBook and a MacMini with MorphOS 3.9 installed on them. What kind of computers are you selling in your store? Do you have a website? My store is selling many kinds of computers in Baghdad, Iraq. They are mostly Windows PCs but we also sell Amiga items too. Here is the usual computer store and here is my Amiga store on Facebook. I also have a YouTube channel. Question from Zachary Weddington (creator of Viva Amiga documentary that you can buy from iTunes etc…) He is wondering about got to learn about the Amiga, why he chose to buy one etc? How did you get into the Amiga? I have the best computer in the world, and that is Amiga and Apple. It started with me getting a MSX in 1984. Then ZX48 in 1987. 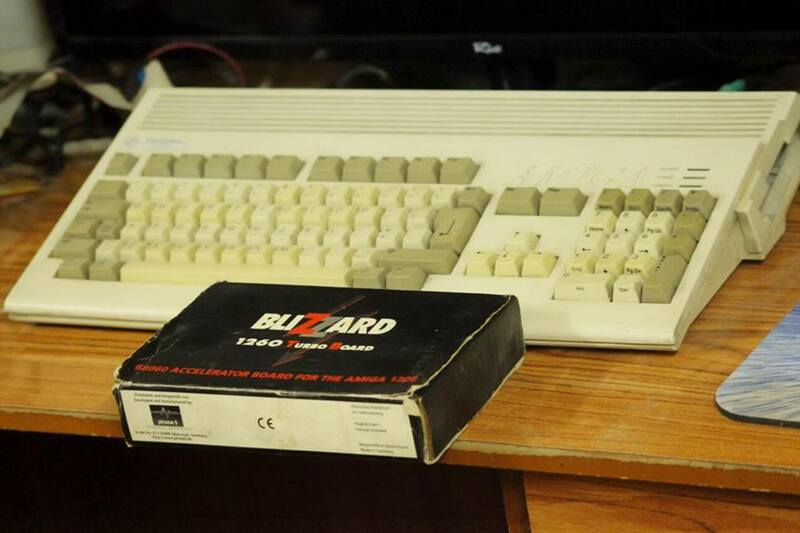 I managed to get hold of my first Amiga in Kuwait in 1987 and knew after that this is my home computer. Then I got my first Amiga 500 in 1990 in an Iraqi computer store. I got into the Amiga by using many of it’s very nicely made programs. They were all related to designs, movement, and sound. Amiga was miles ahead of its competitors in 1990 regarding this for sure. On the Amiga, I started with coding on AMOS early and I am still active regarding that. I lived in Iran from 1998 to 2004. In 2004 I got myself an AmigaOne Power PC machine. I also own an Amiga CD32 and one Amiga 600 also. How was it with Amiga and its popularity in 1990? In 1990 Amiga was the number one selling computer for both business and home computing in Iraq. It was bigger than both PC and Atari. However, because of AmigaOS lacking Arabic language support the computer couldn’t match the Windows PC’s from 1998 when the PC’s was selling better than Amiga computers in Iraq. If AmigaOS had the Arabic language support from the start, then it would be much more widespread for sure I think. Getting an Amiga was easy to get hold of back in 1990 in Iraq. Amigas were everywhere. In game halls, Iraq TV, shopping malls, newspapers and in many homes. 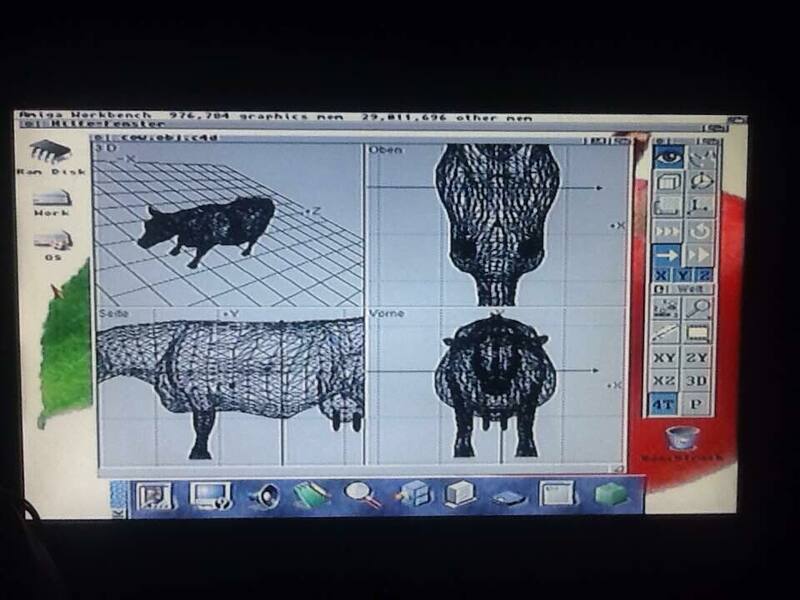 My brother worked at TV Iraq that used both Imagine and Lightwave 3D packages for Amiga etc. Amiga was biggest here in 1990. Here is a very cool made promotion for Iraq TV that is looking very nice. Thanks to Maddos for letting us share this. I am sure that not so many knew about the Amiga involvement. This clip and others were made with Amiga 2000 in Lightwave 3D, Scala Infochannel and ImageFX. How about Scala Infochannel? Was it popular also in Iraq? Yes. Businesses used all sorts of Amiga programs. Scala too yes. But all Amiga programs were used in lots of different business sectors in Iraq for sure. Amiga market was strong in Iraq also during the gulf war? You have just claimed and confirmed that Amiga was the biggest computer in Iraq in 1990? Yes. Amiga was everywhere. There was a few PCs ant AtariST users too in the beginning, but Amiga had over 70% in share for sure in Iraq. What were the prices for Amiga machines in Iraq? In 1990 Amiga 500 was sold for $800, in 1993 Amiga 1200 was sold for $900. With the info that Mados gave to me during this interview here. The solution for world peace is to throw out all politicians in the world to a place where they can learn how to behave. I bet that no one would ever think that Amiga was actually this big in Iraq in 1990. I just got info about how big Amiga was in Iraq in 1990 in this interview and it shocked me! Amiga was bigger than both PC and Atari ST over there at that time. How long did the Amiga win over the PC market in Iraq? Amiga was heavily used between 1990 and 2002 in Iraq. In 1990 it had 70% market, while in 2003 the Amiga usage dropped down to only 5% and now I don’t know if there is more Amiga users in Iraq than me. Amiga won over the PC in market share here from 1990 to 1997. Very few had a PC in fact. Commodore 64 was also a big hit in Iraq. Very few Commodore 128 though. Did you have Amiga magazines in Iraq? We only had the English Amiga magazines. We had 10 different ones at a time. CU Amiga was one of the strongest ones. What sort of Amiga programs do you love the most? 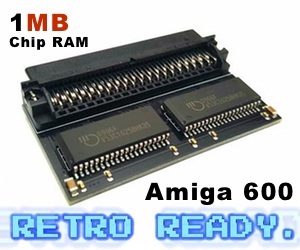 Yes, I love many Amiga programs. Some of them are Tornado 3D and Cinema 4D. I have all of my Amiga programs on CDs. Have also around 2300 games. Aminet CD8 is also a CD that I enjoy using. Love graphics editing programs and games on the Amiga. 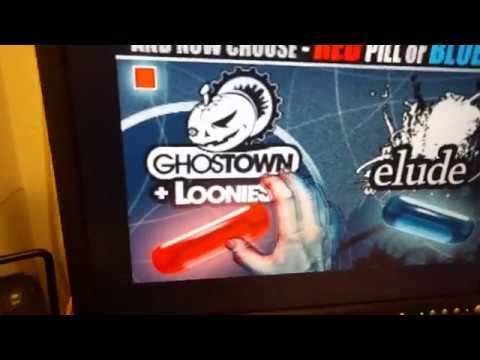 What do you think of AmigaOS 4 and MorphOS? I think these are very nice. I do have MorphOS 3.9 on my PowerPC Macs. These are very nice yes. How about Amiga user groups or meetings in Iraq? No, we didn’t have and I don’t know about any meetings. Yes. I even knew him before he replaced his name in 1998. I asked David John Pleasance about if he knew about any info regarding Commodore and Iraq? He answered. “I was responsible for Iraq when I took over as GM CEL in 1990 – 1991 but remember there was a war on so I was never allowed to visit”. So, because of the war in Iraq no news or info regarding Amiga usage came out from the country. It is interesting to know that Amiga had such big impact in Iraq. However, the drastic fall from 70% to only a few now is really big. Bigger than in other countries I feel. We at Amitopia hopes that this interview can create some Amiga interest in Iraq again. Maybe not at the scale as before, but A-EON and MorphOS Team might get some interest now as they know how much popularity Amiga had back in the days in Iraq. I also got to learn about that in 1993 there was a Arabic font released on Aminet that became very popular to use. Amitopia thanks Mohammed Abdul Raza Al – Nasah (محمد عبدالرضا الناصح), David John Pleasance and Zachary Weddington (creator of Viva Amiga documentary etc…). Paul Rezendes gave me info about Fairlight and BBS in Kuwait in the 1990s, so I thank him for that. We also thank Commodore, A-EON, Hyperion, MorphOS Team and the extremely talented AROS developers for keeping Amiga dream alive. We also give a special thanks to all users of AmigaOS in Iraq during the times of war. If I had the chance to change something, then it would be to get rid of all wars in the world. Let us talk instead of irritating and destroy ourselves. Thanks for reading Amitopia website. We are here because we want to share interesting articles with you. Please do Share, Click on our Banners for supporting us and Like us if you want more types of articles like this.